I’ve held back on going into a lot on former Auburn Dean of Women Katharine (spelled Katharine) Cater on TWER because I’m saving it all for something big, at least that’s what I’ve been telling everybody for, like, eight years. And also because, sure, she’s a tricky subject. But whether you loved her for empowering Auburn women with a million different organizations for empowering women or hated her for locking you in the dorm on Friday night because you didn’t cover your thighs with a raincoat on your way to gym class or something, you had to respect her. Or at least you should have. Because buried beneath her understandable (but somewhat unfair) reputation as a prude is the fact that Dean Cater was kind of amazing. And smart. And arguably the most cultured person at Auburn for, like, more than three decades. So, no, the future President of the United States was too busy to attend. 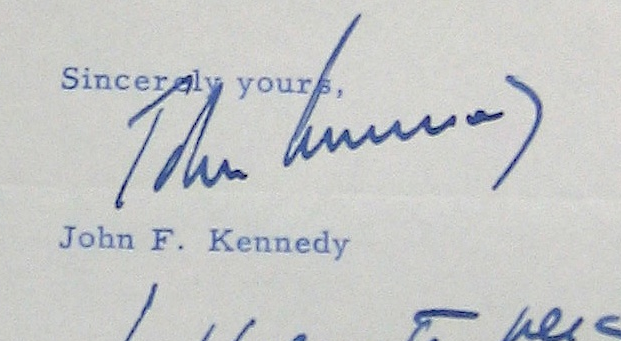 But you and I both know he didn’t have to add that personal, handwritten note there at the bottom. And I choose to think he did it because of Cater, as something owed to the nobility of her mission and the earnestness with which she carried it out, typo notwithstanding. 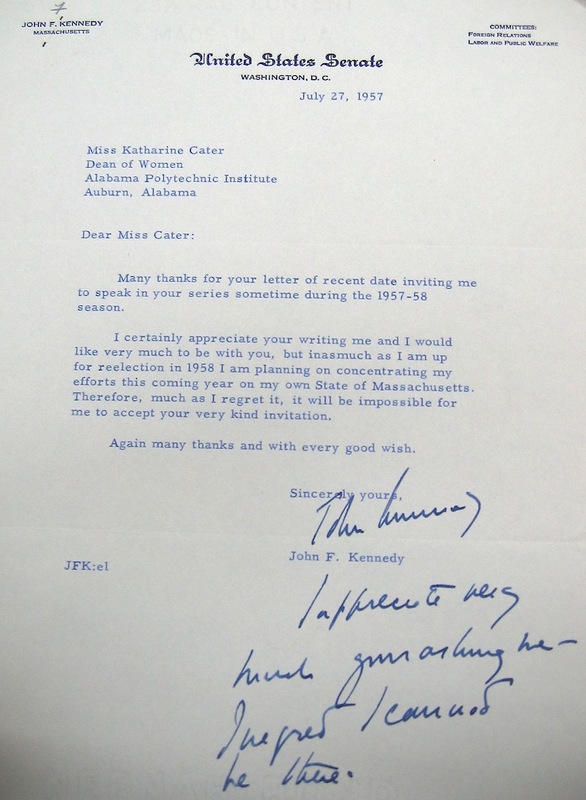 Sixteen years later, Cater did bag herself a Senator Kennedy. The picture is priceless. 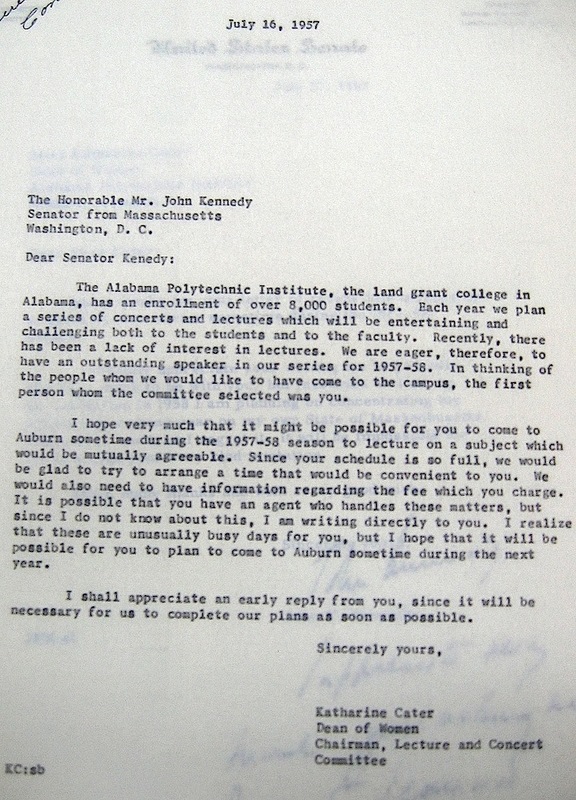 Related: Some students didn’t think Auburn paid enough respect to JFK during the first AU home game after his assassination; The Plainsman’s editorial on the death of JFK. If you like TWER and would like to help us keep the lights on and the obsession with Auburn lore unhealthy, please click here. How can I find out more about the series she chaired?